These savory squares offer an “Old World” flavor that is distinctly delicious. We hand-prep this filling by coarsely chopping portabella mushrooms. Then we add creamy ricotta, Romano and Parmesan cheeses, and Italian herbs and spices. 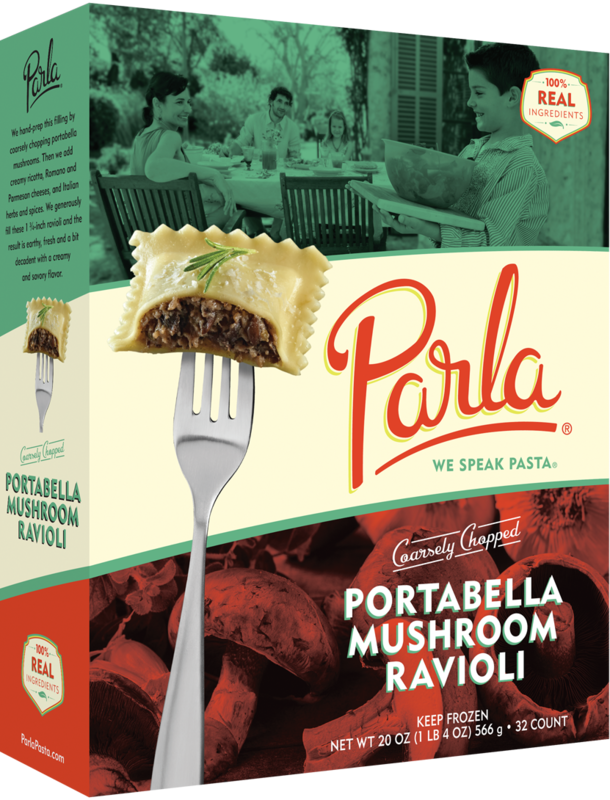 We generously fill these 1 3?4-inch ravioli and the result is earthy, fresh, and a bit decadent, with a creamy and savory flavor. Keep prep simple by adding a drizzle of olive oil and Parmesan shavings. A light cream sauce is also a nice complement. Really love mushrooms? Sauté additional button or cremini mushrooms in olive oil and a touch of butter, and reduce to a sauce consistency. Season with freshly cracked black pepper and salt to finish a dish worthy of a mushroom connoisseur.